I want to start this School News with a big “Thank You.” Firstly I really appreciate everyone who has prayed, given money and sent messages in support of my sabbatical, thank you – you are such an encouragement. Thank you also to all the churches who have helped to support my sabbatical financially – you have made this incredible time possible, thank you. Three months have now happened and I have been able to give extra time to family, along with some time of rest and reflection. I have also had some great times of encounter with God. I look forward to being albe to share some of this with some you in person over coming months. I am slowly returning back to work, this week I am catching up with emails and phone calls, while preparing for Christmas school visits that start next week. I value you prayer for this time as I share Christ’s birth with children and staff. Thank you so much for your prayers and support during my time of Sabbatical. Listed below are school dates that I visiting in December, starting next week. 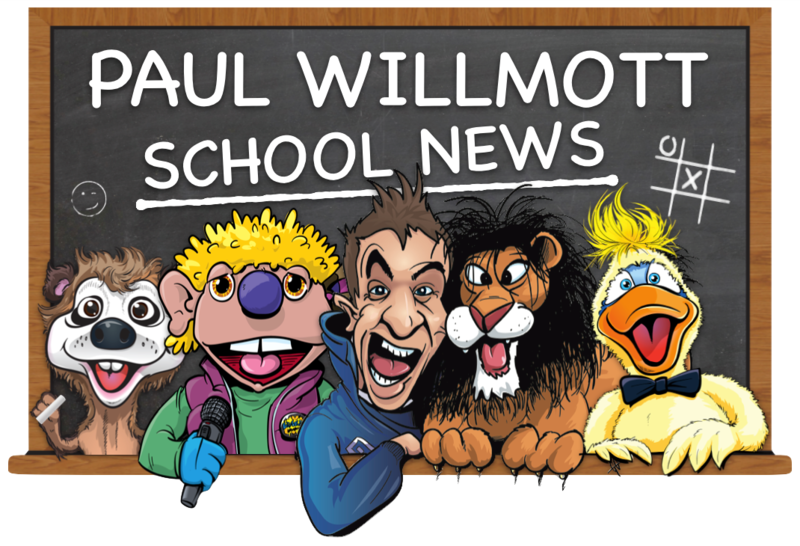 I have also got a number of school visits booked through to July 2019. I will let you know future dates in my usual way. 3rd – Roberts Primary and Springdale Primary. 4th – St Lukes First school. 5th – Bramford Primary and Amblecote Primary. 6th – Tenacres First School. 10th – Maidensbridge Primary, Blakeley Heath Primary and Little Learners Nursery. 11th – Blanford Mere Primary and Rufford Primary. 12th – Woodsetton Special school, St Georges C of E Primary and Straits Primary. 13th – Cookley Primary and St Oswalds C of E Primary. 14th – Westfield Primary, Hasbury C of E Primary and Brook Primary. 17th – Franche Primary and Wrens Nest Primary. 18th – Alder Coppice Primary and Wrens Nest Primary. 19th – Cotwall End Primary and Tenterfields Primary. 20th – Franche Primary, Offmore Primary and Bromley Pensnett Primary. Finally as you will be aware, I have started a YouTube channel, “TWIST ONLINE” This is where my puppet Twist asks questions about God, Church and Life, then asks “what do you think?” Twist also had a sabbatical, but will be filming again soon. .. Thank you for Reading, See you in 2019.